– Lynsey Sharp voicing her displeasure after Laura Muir was added to the women’s 800 field at the UK Champs. 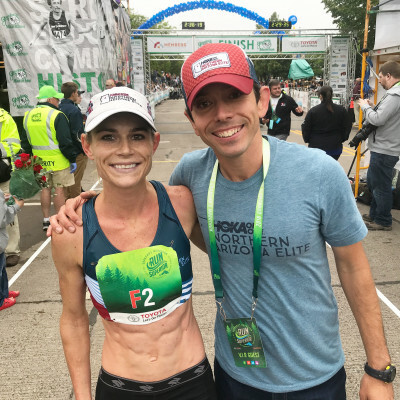 Sharp and other pros claim Muir was added after the entry deadline, but UK Athletics says that’s not true even though she didn’t show up on the online entries until the night before the race. 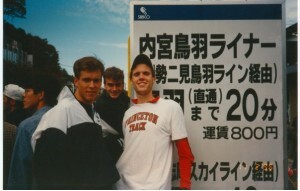 Muir won the 800 title. Happy 80th birthday (+1 day) to Billy Mills!! LRC 2018 Paris DL Recap & Video Highlights: What An Incredible, Incredible Meet – World Leaders Galore If you missed the 2018 Paris DL, you missed a TRULY INCREDIBLE MEET. 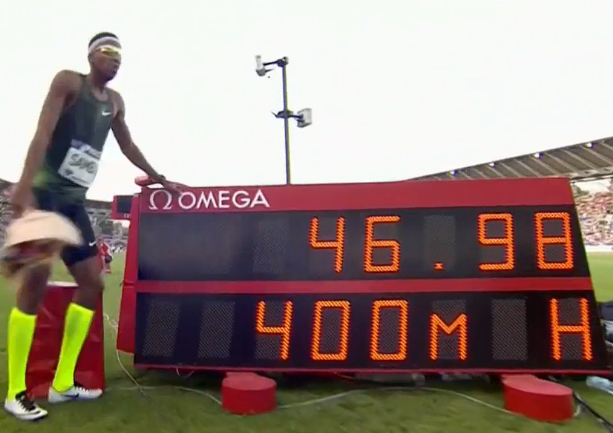 From a 46.98 men’s 400 hurdles – the fastest time in more than 25 years – in the first event to a 9.88 world-leading 100 in the last event, this meet had world leaders literally from start to finish. In between, there was a 1:54 women’s 800 and a 3:29 men’s 1,500. This meet had excellence in it from start to finish. 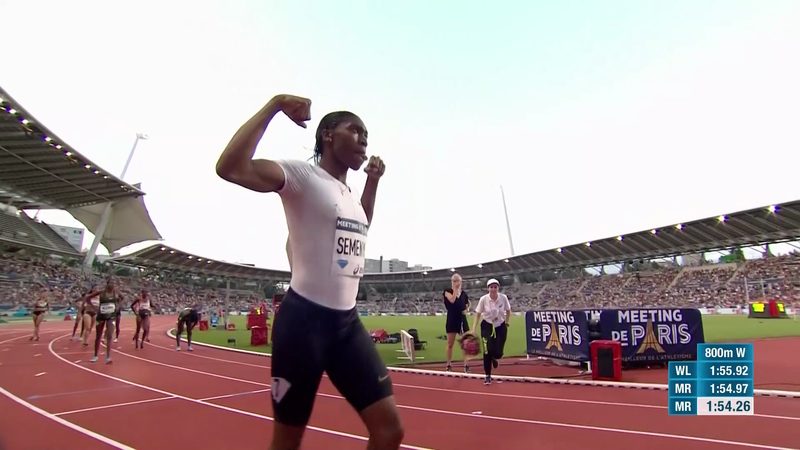 LRC Caster Semenya Runs 1:54.25 With No Rabbits To Become 4th-Fastest Ever And Destroy World’s Best In Paris Semenya was spectacular. 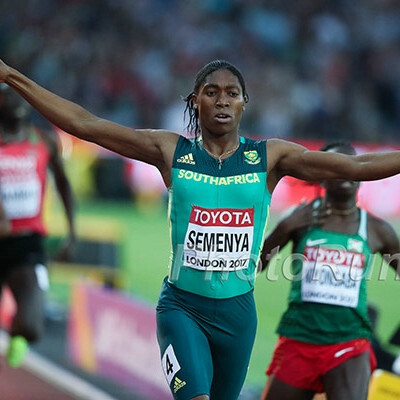 *Caster Semenya has just destroyed her lifetime PB, without any rabbits. 1:54.25! *Timothy Cheruiyot runs 3:29 FTW in Paris! *Ferguson Rotich just closed a 1:43 race in 25.5. Where does that rank in the all-time best closes? This Is Starting To Remind Us Of The International Version Of The TrackTown Summer Series: We Guess They Aren’t Paying Enough – Many Top US Stars Who Are Eligible Will Skip Out On The 1st Athletics World Cup US champs Noah Lyles, Sandi Morris and Shakima Wimbley are all skipping out on the July 14-15 event. Whoever thought this event would be the new big thing in track but scheduled it for the day after the Rabat DL and 5 days before Monaco is an idiot. We don’t think promoting this thing at the expense of the DL is a good idea either. Sports Gene 2.0 Sophie O’Sullivan – Daughter Of Sonia O’Sullivan And Nic Bideau – Will Run Internationally For The First Time At This Week’s European U18 Champs The dual Australian-Irish citizen, who is the #3 seed in the 800, doesn’t have to choose a country until she’s out of U18 competition. We have no idea then why Rai Benjamin is being punished for running for Antigua as a minor at age 17 in 2015. Q&A With Villanova’s Big Recruit Taryn O’Neill Of Canada The Malindi Elmore-coached athlete has PRs of 4:17.93 for 1,500 and 9:54.40 for 2 miles, which she set when she won the Brooks 2 mile. LRC New Blood At USAs, Attendance At Nationals Worldwide, Another Look At Kellyn Taylor’s 2:24:28, Dafne Schippers False Start Plus it is a travesty Haron Lagat is not eligible to run for US. 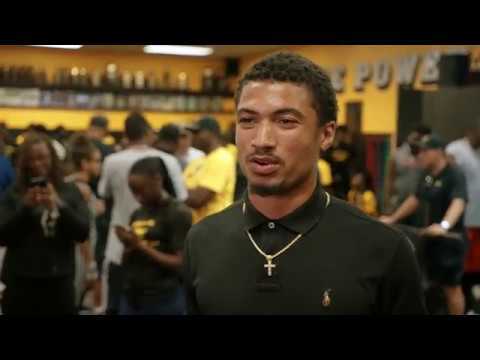 Athletics Weekly: “High Flying Zharnel Hughes Is Reaching For The Sky” Hughes says he is “setting myself up for my future” by working towards a commercial pilot’s license alongside his track career. The Telegraph: Britons Leading In Race To Succeed Usain Bolt But are they really? By our count, Americans have the three fastest times in the world this year. Reece Prescod, Zharnel Hughes And CJ Ujah All Taking Aim At Linford Christie’s 25-Year-Old British National 100m Record This Weekend Christie’s record is 9.87 and Hughes has the best PR at 9.91, though Prescod ran a wind-aided 9.88 this year. Interesting Listen: Podcast Interview With Two-Time US Triple Jump Champ Omar Craddock Craddock talks mostly about off the track life things like dating world record holder Keni Harrison, struggling with alcoholism in college and behind the scenes stuff from the Diamond league circuit. USA Today: Phyllis Francis Follows Her Own Path, Doesn’t Worry About Filling Allyson Felix’s Shoes How well do you know the World 400m champion? Get to know her better in this profile piece. Kenya Selects Team Of 25 For World U20 Champs One defending champion and three world U18 champions feature on Kenya’s team. This includes 8:58.78 steeplechase woman Celliphine Chespol. RW: 30 Celebrities You Didn’t Know Were Runners Actors Ryan Reynolds, Will Ferrell and Chef Gordon Ramsay are some on their list. Warren, Michigan Mayor Says Not To Disturb Him While He’s Jogging Jim Fouts: “I’m available 24/7 but NOT when I’m jogging.” He says he goes on two 45 minute runs a day. MB: Britain To Force Primary School Children To Run For 1 Mile Every Day To Battle Child Obesity Restaurants will also be forced to display calorie counts and there will be a ban on advertising unhealthy foods on TV before 9PM. MB: Female jogger accidentally crosses the US/Canadian border – held in custody for 2 weeks! The 19-year-old French tourist had to stay at a detention center while authorities confirmed her identity (she didn’t have ID when she crossed). Runner’s World’s List Of The Best Sports Movies of All Time But only a handful are running related. Sunday Men’s Recap: Chris O’Hare Leads Scottish 1-2-3 Sweep Of 1.500 As Nethaneel Mitchell-Blake Breaks Championship Best For British 200m Gold Also NCAA decathlon champ Tim Duckworth won the LJ. Athletics Weekly’s Recap Of Saturday’s Men’s Action At British Champs Reece Prescod (10.06) wins the 100 over Zharnel Hughes (10.13) as Marc Scott wins a tactical 5,000. 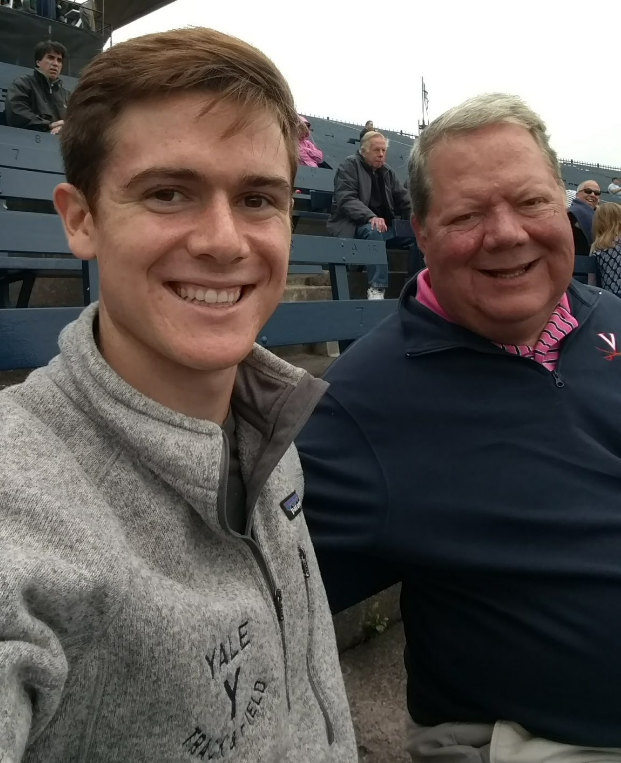 Recommended Read The Dark Lining Of The Prefontaine Mantra: Lessons From Hale Ross’ Life At Yale A personal essay from the father of the Yale XC runner who committed suicide just days after a disappointing run at the Ivy League championships. 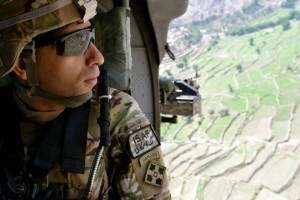 Does Pre’s mantra of “to give anything less than your best is to sacrifice the gift” take a psychological toll? Get To Know Canada’s Commonwealth Games 200m Silver Medalist Aaron Brown, Who Discovered His Talent In 10th Grade Running 11.5 In Basketball Shorts/Trainers Brown is learning to play the piano and feels that the current generation of sprinters doesn’t have “as big egos” as previous ones. Commonwealth Games 400H Champ Janieve Russell Reveals She Got Her Start In The 400 Hurdles By Accident She was mistakenly registered for the 400H at a Jamaican meet and qualified for the prestigious Boys and Girls Champs. Sunday: Out Of The Boston Freezer And Into The Australian Frying Pan For Yuki Kawauchi At The Gold Coast Marathon The Boston champ will face defending winner Takuya Noguchi and CR holder and two-time winner Kenneth Mungara. The women’s race is led by Agnes Barsosio (2:20:59) and 2:27 Aussie Jess Trengove. 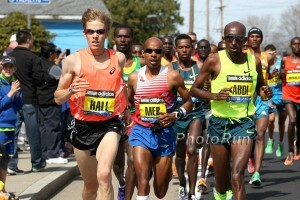 Sara Hall will try to defend her title in the accompanying half marathon while the men’s race has Collis Birmingham. 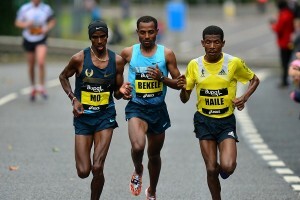 Ethiopia’s World Leader Selemon Barega (13:04) Leads Loaded 5,000 Field In Lausanne Barega is up against world champ Muktar Edris and Paul Chelimo. A Race You Won’t Want To Miss: Christian Coleman And Noah Lyles 100m Showdown Set For Rabat DL On July 13th USA’s Ronnie Baker is also in the race. IAAF Releases Some Interesting Changes To Competition Rules As Of June 2018 The IAAF is no longer recognizing road world records for the 15k, 20k, 25k or 30k (makes sense since they are rarely run and most of the WRs come from half or full marathon splits) and interesting up until now the road 5k was not an official WR, but it will be moving forward. Video: Haron Lagat Calls Out IAAF Officials Over Transfer Of Allegiance Issue The IAAF won’t let him run for the US despite him living here for the last 16 years. Want To Be A Runner In The Wonder Woman Sequel? Here’s Your Chance Producers are looking for “men and women of all ethnicities to play joggers” in the Arlington, VA area. They are choosing runners today and tomorrow. Comrades Marathon Winner Ann Ashworth Publicly Snubs “Unsupportive” Athletics South Africa She declined an invite from them to compete in the World 100k Champs this September saying that they don’t do enough to support SA road runners. LRC The Best Interviews From 2018 USAs: Centro On How Being Fitter Allows Him To Race Smarter, Coburn On Jebet’s Positive, & The People’s Hero, Jordan Mann We know only a few of the biggest die-hards had time to watch all 79 interviews we conducted in the mixed zone at USAs (you can check out all the videos here). That’s okay. Below, we’ve selected our 10 favorite interviews from 2018 USAs. If you want to be educated, entertained, or both, check this out. From Noah Lyles to Matthew Centrowitz and Emma Coburn, we’ve got you covered. Des Linden To Run 2018 TCS NYC Marathon Will she face defending champ Shalane Flanagan? MB: Bowerman Track Club’s Dan Huling Retires Huling has been one of the US’s top steeplers for years with a best major championship finish of 5th at the 2015 World Champs. 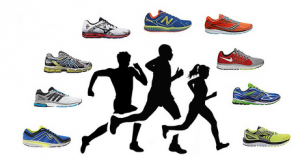 Michelob Ultra Offers Runners A Chance To Be Coached For The NYC Marathon By Shalane Flanagan They’ll get coaching tips from Flanagan and get to meet her for celebratory drinks after NYC. 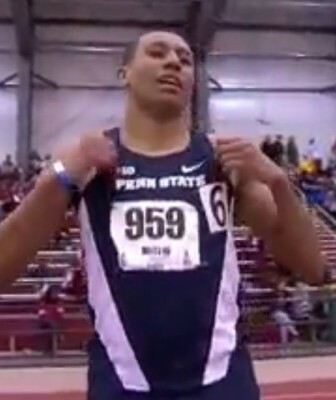 Penn State’s NCAA 800 Champ Isaiah Harris Signs With Nike Harris is passing on his final year of eligibility, but will still train at Penn State and finish his degree next spring. Cellphine Chespol Using Paris DL As A Tuneup For World U20 Champs The 8:58 woman is looking forward to defending her U20 title in Finland next month. Olympic/World Champ Sandra Perkovic’s 66.46m Discus Throw Highlights Second Day Of Mediterranean Games Albania’s Luiza Gega went wire-to-wire to win the women’s steeplechase in 9:27 over Tunisia’s 2012 Olympic champion Habiba Ghribi (9:34). Belarus’ Elvira Herman Prevails Over Queen Harrison In The 100H (12.64 to 12.69) At The PTS Meeting In Slovakia World bronze medalist Wojciech Nowicki won his 4th-straight hammer competition with 76.89m, beating world champ Pawel Fajdek. Kenya swept the top 3 spots in the men’s 1,500 led by Boaz Kiprugut (3:50.57). 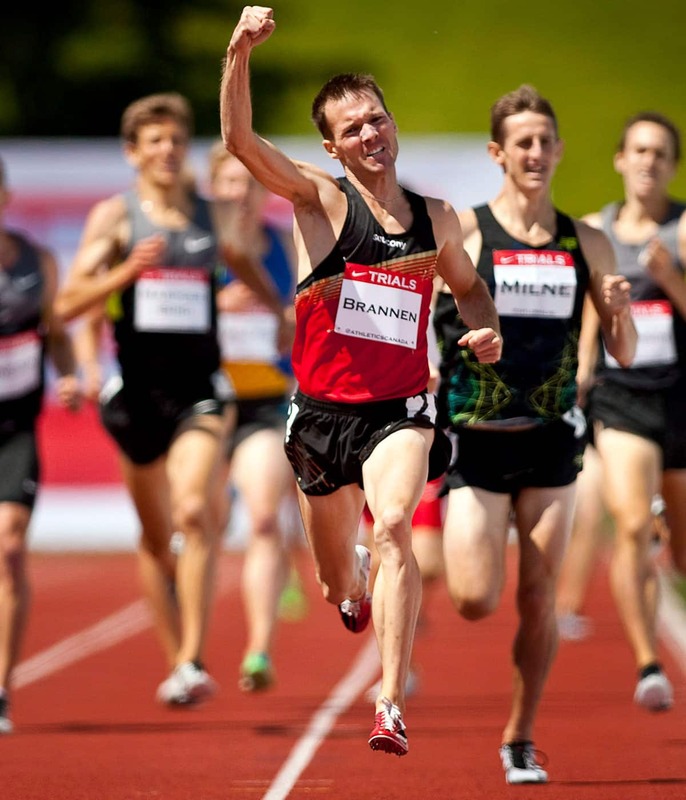 Recommended Read: Nate Brannen: “Only 1,497 Humans Have Ever Broken The 4-Minute Mile And I’m One Of Them” You probably can name most Americans that went sub-4 in high school, but Brannen was actually the 7th North American high school athlete to break the barrier. Here he reflects back on that night and how it helped shape the rest of his career. 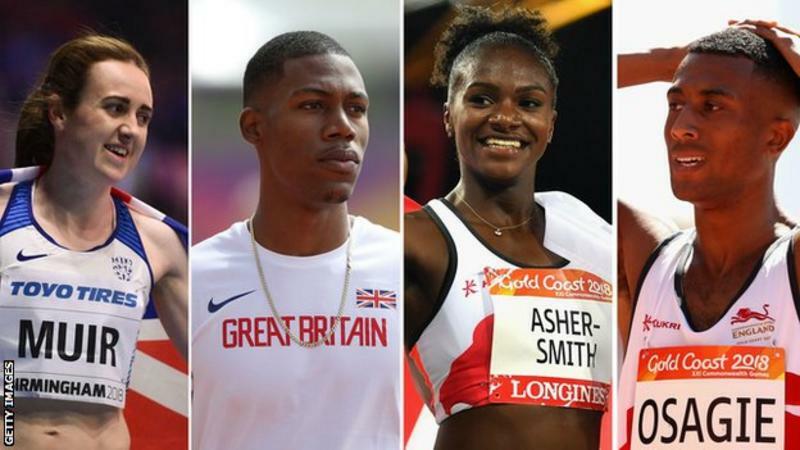 BBC: Laura Muir, Zharnel Hughes And Dina Asher-Smith Among Those To Watch At This Weekend’s GB Champs Our race of the meet will definitely be the men’s 1500 which has Josh Kerr, Chris O’Hare, Jake Wightman and Charlie Grice. Bummer: Appendicitis Forces Greg Rutherford To Miss GB Champs It was his last chance to rack up another national title as he’s retiring this year. European Athletics European Mountain Running Championships Preview: Will Italy Regain The Team Title After Rare Defeat To France In 2017? Olympic Medalists Nia Ali And Andre de Grasse Are The Proud Parents Of A Baby Girl We imagine the Candians and Americans may be battling over this baby when the 2040 Olympics roll around. Andre De Grasse Only Third In 100 At Harry Jerome (10.36) Aaron Brown was the winner in 10.21. De Grasse Anchors Canada To 4 X 100 Victory At Harry Jerome The event was part of the $30,000 China-Canada Sprint Challenge. 7-2, 320-Pound, One-Armed Shot Putter Placed Third In Shot At Harry Jerome Greg Stewart has been doing the event for less than a year and is focused on the 2020 Paralympics. Should There Be A Women’s Decathlon? The Guardian: Women’s Decathlon: Overdue Game-Changer Or Heptathlon Killer? The first USATF-approved women’s decathlon championship is this weekend, but a lot of heptathlon athletes and coaches are against the idea, fearing the change in event order could lead to more injuries.